Camilia has no known interaction with other medications, it is not contraindicated with pre-existing conditions, and there is no risk of overdose or numbing your baby's gag reflex. The sterile, single-use liquid doses are preservative-free and help to prevent contamination. Camilia teething drops do not contain benzocaine, alcohol, flavors, dyes, lactose, sugar or artificial sweeteners. 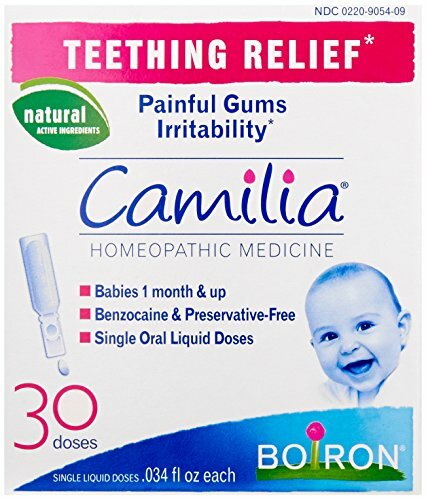 Available in a box of 10 and 30 doses, Camilia is recommended for babies one month and up and works best when taken at the first sign of teething.